The Federal Health Minister, Greg Hunt, has announced the creation of a new $2.5 million NHMRC Centre of Research Excellence (CRE) in Women’s Sexual and Reproductive Health in Primary Care to be run by Professor Danielle Mazza, Head of the Department of General Practice. The awarding of this CRE recognises the integral role of the 35,000 general practitioners practising throughout Australia in providing sexual and reproductive health care for almost 5.6 million Australian women of reproductive age. 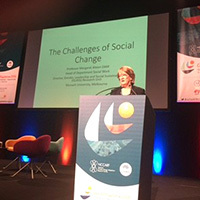 “The Centre of Research Excellence (SPHERE) will bring about a paradigm shift in the way GPs and other primary care practitioners deliver preconception, contraception and abortion services, transforming their previously siloed style of practice into one that recognises the interconnectedness of these issues for individual women and the need to use an integrated life course approach to help women achieve their own reproductive goals”. SPHERE aims to both improve women’s access to critical sexual and reproductive health services and improve pregnancy outcomes. The multidisciplinary investigator team will also study task-sharing by health workers in primary care and evaluate whether this and other new models of care align with patient preferences and are cost effective. “The aim of SPHERE is to address the issue of sexual and reproductive health through broad collaboration - collaborations between researchers, healthcare providers, health service delivery organisations, policymakers, peak bodies for women’s health in Australia, and consumers,” Professor Mazza added. This month, the Department of Occupational Therapy’s Libby Callaway and Kate Tregloan (Architecture Dept, Monash Art Design and Architecture) officially launched ‘My Home Space’. My Home Space is an online information resource for people interested in housing, technology, support and community design. It includes an interactive, online 3D virtual housing tool developed to translate National Disability Insurance Scheme (NDIS) housing policy and other existing design guidelines into virtual housing spaces. Information in the virtual housing tours can be filtered by NDIS design categories (improved liveability, fully accessible, robust design, high physical support needs), housing type (apartment, villa, house, group home), and activity type (cooking, dressing, bathing, socialising). My Home Space was delivered with a range of project partners as part of a two-year project funded within the second implementation plan of Australia’s National Disability Strategy. Findings from a national government housing roundtable run as part of the project were also published in the Australian Journal of Social Issues this month. My Home Space is suitable for people with disability and their families, health professionals, designers, funders and other stakeholders interested in housing, technology and support design. Watch a video of a NDIS participant, using the My Home Space tool here. 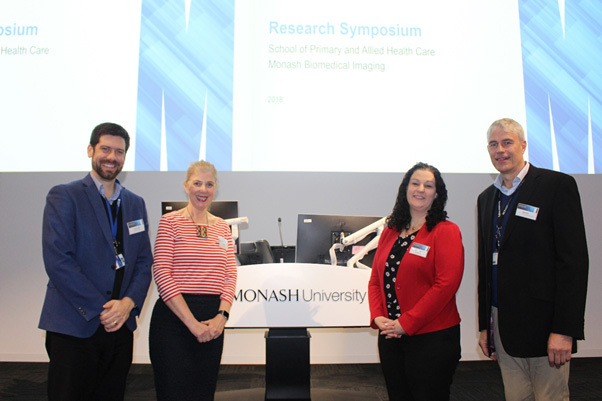 The 2018 SPAHC Research Symposium was held on 26 June, in conjunction with Monash Biomedical Imaging (MBI), at the MBI premises on Blackburn Road. The event brought together staff from SPAHC and MBI and incorporated the theme “Advancing health research using technology”. Prof Gary Egan, Director, MBI & ARC Centre of Excellence for Integrative Brain Function, and Dr Lisa Hutton, General Manager, MBI, gave opening keynote addresses, followed by presentations from a variety of researchers across the School, including Physiotherapy, Medical Imaging and Radiation Sciences and Paramedicine. The event closed with Dr Hutton taking registrants on a tour of the facility. The Monash Biomedical Imaging (MBI) facility has a comprehensive suite of biomedical imaging equipment including an MRI scanner for clinical research, and preclinical MRI, PET-SPECT-CT and PET-CT scanners. Their integrated imaging facilities and innovative research contribute to discoveries that are solving significant health problems. Photo: Prof Terry Haines, A/Prof Lisa O’Brien, Dr Lisa Hutton and Prof Gary Egan. To view presentations regarding working with MBI (Monash Biomedical Imaging) and an overview of MBI Research Platform Facilities, please click the 2 attached powerpoints below. Congratulations to Physiotherapy graduate Brodie Nankervis, whose recent publication of his honours research in the Journal of Science and Medicine in Sport caught the interest of The Herald Sun, in their Wednesday Feb 14 edition. Brodie’s work investigates the social media behaviours of injured Australian Football League players, as a precursor to further investigations for designing social media support strategies into physical and mental recovery from injury. The mixed method study followed 335 injuries from 317 professional AFL players during the 2015 season, revealing changes in social media behaviours before, during and after injury. 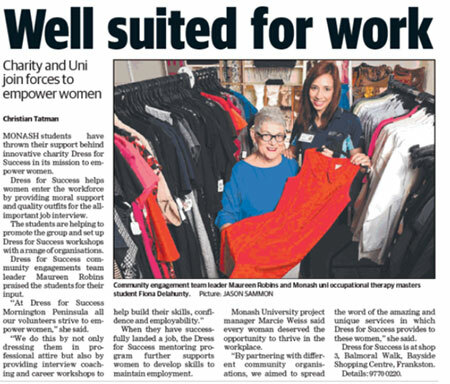 Occupational Therapy students Vincci Lee, Fiona Delahunty and Marcie Weiss, made headlines in the Frankston Leader Newspaper for the work they are doing with Dress for Success in Frankston as a part of their Participatory Community Practice unit within their Occupational Therapy course. 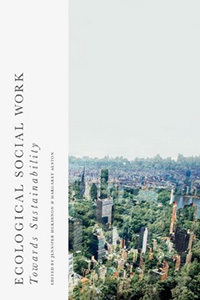 The students have also had an abstract accepted about the project for an oral presentation for an upcoming conference. A Department of General Practice publication with PhD student Ruby Biezen as first author, has got wide attention in the media. It was in a front page article in the Herald Sun on Saturday 24 February (and also page-5 on the same day). Ruby has done interviews on radio (4MW & ABC Qld) and for the TV news (Channels 7 and 9). The online media articles can be seen here and here. The General Practice publication getting noticed is: Biezen R, Grando D, Mazza D, Brijnath B. Why do we not want to recommend influenza vaccination to young children? A qualitative study of Australian parents and primary care providers. Vaccine. 2018 Feb 1;36(6):859-865. doi: 10.1016/j.vaccine.2017.12.066. Epub 2018 Jan 5. Associate Professor Prue Morgan (Physiotherapy) and Libby Callaway (Occupational Therapy) have worked with colleagues from the University of Sydney, James Cook University and Flinders University to secure a $374,000 NDIS Sector Development Fund Grant. Associate Professor Prue Morgan (Physiotherapy) and Libby Callaway (Occupational Therapy) have worked with colleagues from the University of Sydney, James Cook University and Flinders University to secure a $374,000 NDIS Sector Development Fund Grant. 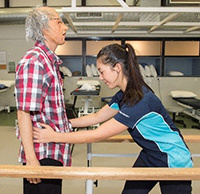 The project aims for the Universities, partner NDIS providers and NDIS participants to collaboratively document effective greenfield allied health student placements across four states, involving the four universities and eight clinical training sites. The project will build a shared evaluation framework and business modelling for a range of innovative and collaborative clinical training models currently being piloted at each site, with the aim to build NDIS participant, sector and workforce capacity. Congratulations to Professor Jan Coles from the Department of General Practice who was awarded a Fellowship of the Monash Education Academy. Congratulations to Professor Jan Coles from the Department of General Practice who was awarded a Fellowship of the Monash Education Academy. A Fellowship is a prestigious honour, bestowed upon staff who have demonstrated sustained leadership and innovation in education. As part of this award, Jan will be working with the discipline and academic progress committees, looking at how to best respond to students who perpetrate sexual harassment and assault, who come before these committees. Jan's work with the Give Respect project and team is working on prevention, while her fellowship will look more at remediation. 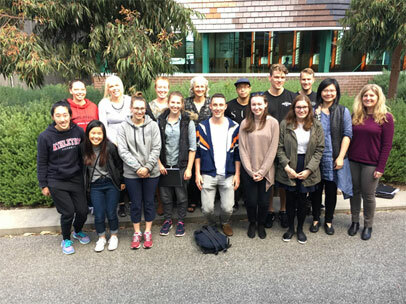 A Participatory Community Placement Project from students within the Masters of occupational therapy Practice course was recently featured on the ABC’s ‘Gardening Australia’ program. Olivia Sun and Isabelle Aubrey did a fantastic job representing our Occupational Therapy program, implementing a community garden with one of Yooralla’s disability residential accommodations. The six-month-long project involved developing a sustainable kitchen garden with the residents to help them engage in meaningful tasks and spark positive social connections. This was done by creating an accessible garden space featuring modified long-handled gardening tools, educational resources, and a photo diary for residents to track their journey in the garden as a community. Since its completion, the garden has successfully empowered residents to take on new roles. To watch the segment, click here. The segment starts 7 minutes in. Can a bad bra be associated with shoulder or neck pain? Although Dr Kelly-Ann Bowles from the Department of Community Emergency Health and Paramedic Practice, has spent a large amount of her research career looking at bra design features, there are still unanswered questions. Researchers know that most women do not wear a correctly fitted bra but they don’t know if a bad bra fit could be associated with neck or shoulder pain. Kelly and her research team want to better understand how your breast size can affect the posture of women. This study will look at women’s posture of all shapes and sizes, measuring their muscle strength around their shoulder, and collect information in things like bra size and shoulder or neck pain. No one has looked at the relationship between breast size and muscle strength and Dr Bowles is hoping that their research findings might help in future treatment plans for women with chronic shoulder or neck pain. 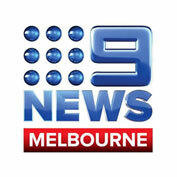 See Kelly's Nine News article here. MORE than 75 emergency responders from multiple agencies descended on central Frankston recently for a mock training exercise. Department of Community Emergency Health and Paramedic Practice students, teamed with Frankston Police, Bayside Shopping Centre, Frankston CFA and Frankston Council for the drill designed to test the organisations’ co-ordinated responses. 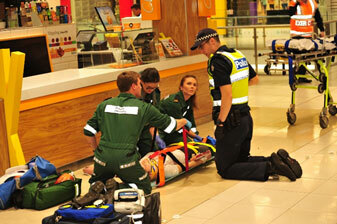 A car fire simulation and two serious assaults were set up at Bayside Shopping Centre. The drill went very well and the teams worked well together. It is great to see relationships with external partners being built to maintain community safety. Kelly-Ann Bowles (DCEHPP), A/Prof Brett Williams (DCEHPP), Nathan Stam (DCEHPP), Prof Terry Haines (Physiotherapy), Dr Cylie Williams (Peninsula Health) and A/Prof Stephen Maloney (Physiotherapy) have recently been awarded $15,000 under the 2017 Supervisor Development Grant funding round. Their project will be looking at strengthening supervisory partnerships with our Health partners. The proposal outlines a measured approach to engaging external supervisors and developing skills commensurate with Monash University expectations. As Monash continues to develop relations with more industry partners, the approaches adopted by this team to close skills and expectations gaps between Monash supervisors and their industry colleagues will have the potential to be highly instructive for other academic units. Libby Callaway from the Department of Occupational Therapy has also received funding success under the Monash Graduate Education Supervisors Grant. Her project is titled “Building social impact and industry partnerships within Australia’s National Disability and Injury Insurance Schemes: Scoping graduate research needs in housing, assistive technology and support design for people with disability.” The grant will enable further work with key disability industry partners to identify and map current research activity relating to housing, technology and support design for people with disability, and identify gaps that may be addressed via graduate education programs, as well as supervisor capacity building in this area. The conference brought together scientists, social scientists and various other disciplines to discuss the latest research on climate change. There were approximately 2000 attendees and Margaret's contribution was to give the plenary keynote on social implications of climate changes. and Recovery Care Services". The project involves seven inter-related studies designed to evaluate the appropriateness, effectiveness and efficiency of Victoria's Prevention and Recovery Care Services (PARCS), which are residential services for people with severe mental disorders. The project represents a partnership between universities, PARCS providers, clinical services and the Victorian Government, and will actively engage service users and their carers and other experts. The project is worth $365,902.90 and is led by The Centre for Mental Health, Melbourne School of Population and Global Health, University of Melbourne, and Monash University. Associate Professor Craig Hassed was recently invited to speak at the House of Commons by Welsh MP, Chris Ruane, who co-chairs the UK Government's Mindfulness All-Party Parliamentary Group, which was established in 2014 to review the scientific evidence and current best practice in mindfulness training; develop policy recommendations for government, based on these findings; and provide a forum for discussion for the role of mindfulness and its implementation in public policy. Associate Professor Hassed's address included "a rationale for why mindfulness is so important not just for health but for workplace settings" and an overview of the world-leading work Monash is doing around mindfulness. While in the UK, Associate Professor Hassed also gave the keynote address at the inaugural Mindfulness in Medicine Conference hosted by the University of Buckingham and facilitated the conference's day-long masterclass where he shared the lessons he has learned from the "Monash experience." Associate Professor Hassed is now preparing for the 2016 launch of the Future Learn Mindfulness for Wellbeing and Peak Performance online course on 19 September developed in conjunction with the team at Monash Learning and Teaching. The six-week course is free and is co-hosted with clinical psychologist and Monash mindfulness consultant Dr Richard Chambers. 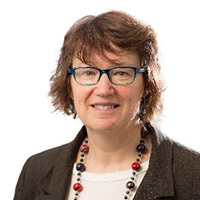 Congratulations to Dr Karen Price who was awarded an RACGP Family Medical Care Education and Research Grant (FMCER) worth $10,000 for her project titled "The role of peer connection in general practice: what is the role of peer connection and its association to empathy and prevention of burnout in general practitioners?" Congratulations to Dr Ray Chan and A/Prof Peter Schattner on having 3 posters accepted for the Global Addiction Conference in Venice, Italy, 2 - 4 October 2016. The posters are all on the topic of the appropriate use of the CIAW-Ar tool which measures alcohol withdrawal, but is often used in patients who also have illicit drug and psychiatric co-morbidities. Dr Chan will be attending the conference. 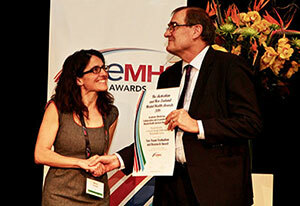 Congratulations to Ebonie Rio from the Department of Physiotherapy who recently won the Mollie Holman medal. The Mollie Holman Medal is awarded to PhD students who have fulfilled all requirements for the degree and are judged to have presented the best doctoral theses of the year for their Faculty. Ebonie's Thesis title was titled "Corticospinal changes associated with patellar tendinopathy and the effects of externally paced strength training", and her supervisors were Professor Jill Cook, Professor Lorimer Moseley, Dr. Dawson kidgell, Dr Jamie Gaida. Professor Danielle Mazza, Department of General Practice, has undertaken research aiming to uncover why there are differences in lung cancer outcomes for Australians from culturally and linguistically diverse backgrounds (CALD). This research has been awarded Cancer Council funding through a national priority research scheme for $430,000 over three years. The grant, awarded through the Priority Driven Research Scheme administered by the Government agency Cancer Australia, will be utilised to compare the treatment pathways of CALD and Anglo-Australian patients. Lung cancer is the leading cause of cancer mortality. It is responsible for almost one in five cancer deaths in the country. Professor Mazza said that traditionally some groups had poorer outcomes and the research aimed to shed light on reasons for this. "We hope to fill in the gaps in our knowledge by comparing how long it takes a patient from a CALD background to receive treatment after symptoms first develop compared to anglo-patients, by tracking differences in their treatment pathways." An innovative new braille fridge ‘map' for the blind has been unveiled at Insight Education Centre in Berwick to help blind and vision impaired children become more confident in the kitchen. Developed by two Master of Occupational Therapy Practice students, the fridge map can be affixed to a fridge door, and aims to help blind and vision impaired children become more confident with food preparation and cooking. The map was developed in response to the current low educational outcomes and poor employment prospects for blind people, and is aimed to encourage independence so blind people have the ability to know exactly where food is in the fridge. "You would be amazed at the changes in the kids when they learn to do something for themselves," Judy Stampton, who was involved in the project said. Kate Garam, also involved in the project, said she hoped the map would encourage children to cook or help others cook and hoped the idea could be adapted for blind and vision impaired people's homes to help them navigate their tool sheds, closets and other areas of the house. She said the idea took six months to develop and agreed it was surprising that such a thing was not already available. "The kids say they really love it, they say it's really nice to be able to read it, and they love the fact that for the first part of the lesson they can read the recipe, work out what ingredients it needs and find them in the fridge," she said. Insight Principal Timothy Hemphil said the food-finder map would help enhance a range of like skills for the students, as well as build core education abilities. "Presently, 70 per cent of blind adults are unemployed. The former ‘integration' schools model has not provided the framework for life skills or future employment. We see Insight as providing a pathway to both of these, as well as meaningful independence and full participation in life." An Occupational Therapy student enrolled in the postgraduate unit OCC5111 - Advanced Hand Therapy Theory, Principles and Practice, was recently awarded the 2015 Best Research paper for an article originally submitted as a university assignment. Frances Thomsen (nee Black) won a year's membership of the Australian Hand Therapy Association (AHTA) for her paper titled "Post-operative mobilization following volar plate fixation of distal radius fractures" which was published in the association's newsletter. She was encouraged to submit her assignment by Melissa Hirth, one of Monash's tutors in this course. Several graduates of this unit have now published their work in this newsletter, which is a great demonstration of the calibre of academic work completed by students. You could be forgiven for thinking you had walked into a hospital ward if you were wandering through the physiotherapy practical rooms recently. Third year physiotherapy students are donning masks and costumes to take part in an exciting new research project funded by a 2016 SPHC Learning and Teaching Grant and there have been lots of elderly ‘patients' being put through their paces! The research team, headed by Narelle Dalwood and involving Prue Morgan, Stephen Maloney, Cameron Gosling and Ruben Hopmans, are investigating low cost, low fidelity simulation as a method of preparing students for clinical placement and the realities of patient interaction. During the nine week pre-clinical programme students participate in peer simulation for four hours every Thursday morning. Clinical scenarios based on authentic patient presentations are used, and students take turns in playing the part of a ‘patient' and a ‘physiotherapist.' Tutors circulate the room and interact with the students as ‘clinical supervisors'. The study is investigating whether the use of masks and costumes for the ‘patients' increases the realism and educational benefits of the interaction. In the words of one student ‘I felt more emotion towards patient, more empathy' and another ‘thoroughly enjoyed the clinical simulation as it puts in perspective the real difficulties and problems that real life physiotherapists have to deal with'. The data from the randomised, controlled trial is currently being analysed and will provide important insights into the utility, feasibility and benefits of this exciting educational innovation. Further tests revealed that this unique approach led to a significant increase in the participant's pain threshold. The novel discovery means that a treatment of just 10 minutes with new dual site stimulation using either anode or cathode could provide a valuable alternative for the treatment of chronic pain, which should be explored in future studies. Congratulations to SAPCRU led by Grant Russell for securing a NHMRC Partnership grant of $1.1million for the OPTIMISE project to improve primary health care delivery to refugees living in Australia. The work will be supported by a further $1.1 million in cash and in-kind contributions from partner organisations. The team have received wide spread media coverage for this including a recent interview on ABC which you can listen to here. Dr Robyn Mason joined the Department of Social Work at Monash in 2009 after a career which involved secondary teaching, social work practice and community development in rural Australia and overseas. Robyn's focus was on women and the services they used, sexual assault and other violence against women, Aboriginal and Torres Strait Islander communities, rural practice and feminism. Prior to teaching at Monash, Robyn had taught and researched at the University of Ballarat (now Federation University), the University of Melbourne and at Charles Sturt University. An unyielding commitment to human rights and social justice have guided Robyn's practice and the way she has lived her life. Robyn's passions have been her teaching and watching students learn and develop into confident, knowledgeable social work practitioner-researchers. Books and literature have also been central in her life and over many years she has built a magnificent collection of texts, reports and foundational documents. The Department of Community Emergency Health & Paramedic Practice recently purchased 10 state of the art Zoll X-Series cardiac monitors and defibrillators. These monitors are the model used by Ambulance Victoria and many other national and international ambulance services. The monitors are lightweight yet powerful units and incorporate many advanced features. One feature, which will be an invaluable teaching aid, is CPR effectiveness monitoring. The monitor screen will display the rate, depth and overall effectiveness of the cardiac compressions to staff and /or students. The DCEHPP team recently attended a training day with the monitors in preparation for semester 1. Department of Physiotherapy Senior Lecturer Mick Storr was one of seven citation awardees at the Better Teaching, Better Learning Showcase, held recently at Caulfield. The Showcase brought together Education Focused staff in a celebration of Monash's high quality teaching and learning activities. Vice Provost Teaching and Learning Professor Darrell Evans presented the Vice Chancellor's Citations for Outstanding Contributions to Student Learning. The Department of Community Emergency Health and Paramedic Practice (DCEHPP) was the successful tenderer to re-write a new Health Education, Care and Medical Applications (HECMA) program for the Institute of Applied Technology (IAT) in Abu Dhabi. The 18-month project is worth more than $800,000 and Rod Mason will be responsible for the project management of the program. The goals of the program are to increase health literacy, improve self-efficacy, enhance social responsibility, promote advocacy, handle emergencies safely and introduce students to the health sector. The program will be implemented in a number of schools in the Emirate of Abu Dhabi and delivered to students in G10, 11 and 12. The intention is for the program to also achieve national recognition by the National Qualifications Authority in the United Arab Emirates. This will lead to students being eligible to receive a formal qualification according the Qualifications Framework Emirates, upon successful completion of the program. Professor Margaret Alston OAM, Head of the Social Work department, has been one of three on the expert advisory panel guiding the development of the South Asia Women’s Resilience Index. This index has been developed by the Economic Intelligence Unit, ActionAid and DFAT and their recently released report is available at http://www.economistinsights.com/infrastructure-cities/analysis/south-asia-womens-resilience-index. The tool is designed to measure a country's capacity for disaster risk reduction and recovery and the extent to which the needs of women are being integrated into national resilience-building efforts. The report benchmarks sixty-eight economic, infrastructure, institutional and social factors in several countries across South Asia to assess their capacity to adapt to and recover from catastrophic environmental disasters. Results indicate that most countries rate poorly in their consideration of women in the context of disasters leading to a ‘vicious cycle of vulnerability and disempowerment’ and a failure to build women's capacity and resilience. Professor Alston noted that ‘the construction of the Index will assist countries to consider Gendered impacts and outcomes of catastrophic events and will result in a more thorough attention to women's vulnerability and capacity. It is anticipated that the Index will enable a fairer distribution of resources, aid, training and capacity building activities. Dr Stephen Maloney form the Department of Physiotherapy has been recognised at the Monash Teacher Accelerator Programme’s inaugural awards. 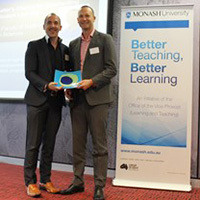 The Monash Teacher Accelerator Programme, an initiative of the Office of the Vice-Provost (Learning and Teaching) (OVPLT), aims to recognise and reward Level B and C staff, accelerate the career development of high performing current early to mid-career academic staff and provide motivation for educational leadership and innovation.